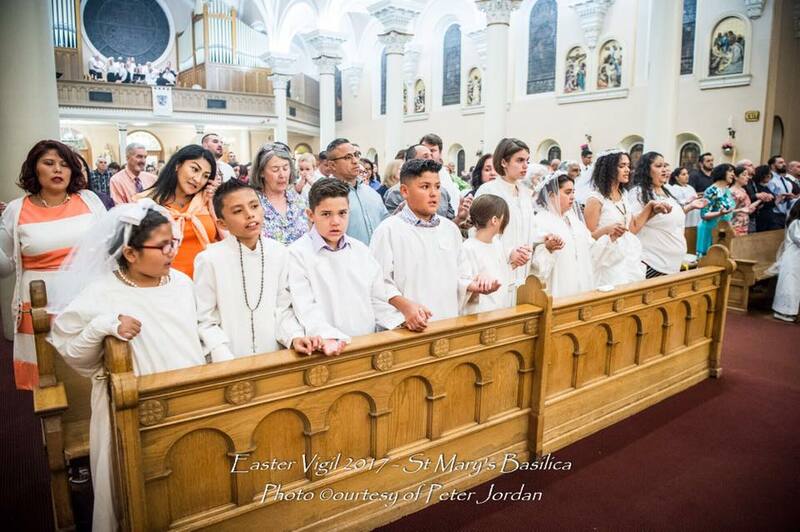 At St. Mary’s, our Sunday liturgies are celebrated in English with some bilingual music in English and Spanish. Latin, the Church’s mother tongue, is also used in much of the music that is sung during the liturgy. On some occasions, masses may be celebrated with a greater bilingual emphasis or entirely in Spanish, such as the celebrations for Our Lady of Guadalupe on December 12th or for weddings and funerals at the request of the family. Recited at Noon before Mass Monday-Friday. Thursdays after the 12:05 PM Mass in St. Anne’s Chapel, concluding with Benediction at 2:00 PM. First Fridays of the Month after the 12:05 PM Mass. Second Fridays of the Month after the 12:05 PM Mass. During the Seasons of Advent and Lent, Solemn Vespers (Evening Prayer) are celebrated in the Basilica each Sunday at 5.00 p.m.
On other occasions such as the Solemnity of Saint Francis of Assisi, Lauds (Morning Prayer) is celebrated as announced. Free parking is available for parishioners and visitors attending Mass and sponsored events at St. Mary’s Basilica. Our parking garage is located on 5th Street between Van Buren Street and Monroe Street.